· How he will stop excessive regulations like the EPA’s overregulation of farms and small businesses – regulations that have made it prohibitively expensive to run a business and create jobs. These are not just my priorities. These are the priorities that the American people expressed loudly and clearly on November 4th. And these need to be the priorities of the leaders of this next Congress. These are reasonable positions. So when reason is losing the argument, it’s clear that something else is taking its place – personal interests over what’s in the best interest of the country. The American people know they are being shortchanged, and they want action, not talking points. Our current leadership was recently tested when Mr. Obama attempted to circumvent Congress and the law by unilaterally granting amnesty to illegal immigrants by presidential decree. His decree provides illegal immigrants with work permits, legal status, and free federal entitlements. 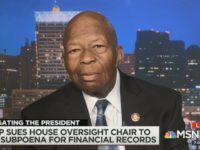 But on a much more significant front, his action shows a complete disregard for our constitutional system where Congress makes the laws and the president’s duty is to enforce them. The House leadership and every member of Congress took an oath to defend the Constitution, and we have a duty to stop the president when he ignores it. The most powerful remedy the Congress has in these situations is the power to defund his illegal action. We had an opportunity to do that last month when Representatives Mick Mulvaney, Matt Salmon, and I led in co-sponsoring an amendment to the CRomnibus spending bill that would have stripped it of funding for executive amnesty. We were joined by 64 other House members, but were told that there was no time to amend the bill before the vote. That meant the CRomnibus bill passed and provided the president with the funds for his scheme. Why was there no time to amend the bill? Because the leadership hid the 1,774-page CRomnibus from members of Congress and the public until the last minute, giving us just 48 hours to try to read through it before voting on it. Further, why did the leadership allow funding for illegal amnesty to be included in the bill in the first place? And why was the leadership willing to whip votes with the president and the House Democrats to pass the bill, but not willing to work with House Republicans to stop the funding of an illegal act? But the CRomnibus didn’t just fund illegal amnesty. It was a $1.1 trillion spending bill that did nothing to reduce spending or work toward balancing the budget. It also funded Obamacare when the House had pledged to repeal it. And it funded the economy-killing overregulation of agencies like the EPA, which are destroying American jobs when we have millions looking for work. In recent days and weeks, I have given careful consideration as to how I would cast my vote for Speaker of the House. I do not cast this vote as an individual, but on behalf of the citizens of Virginia’s Seventh District who sent me to Washington to act as their representative. 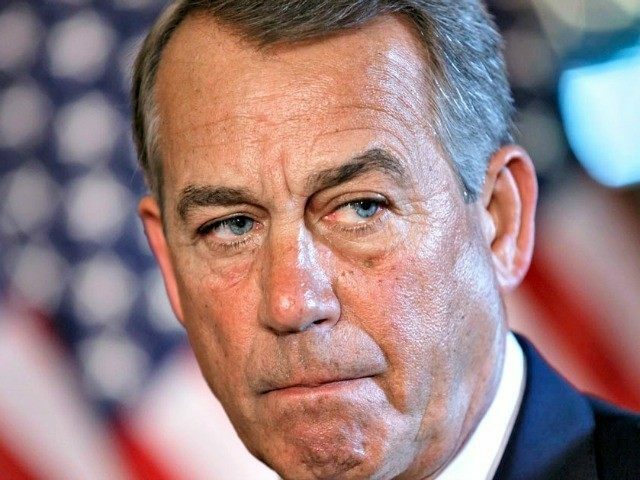 While I like Speaker Boehner personally, he will not have my support for Speaker. Washington is broken in part because our party’s leadership has strayed from its own principles of free market, limited government, constitutional conservatism. We are at a crucial turning point in our country’s history – do we truly want free markets, or does cronyism remain in place? Do we want the rule of law, or will amnesty for cheap illegal labor win the day? In my campaign, I heard over and over from my constituents that they don’t feel Washington is working for them. They feel like they are always on the losing end of most every deal struck inside the beltway – that somehow the ordinary working man and woman keep drawing the short straw. And year after year, government gets bigger, the debt swells, and the bureaucracy engulfs the citizen a little bit more. The scope of the problem is in the trillions, but the solutions offered so far have only been in the billions – not even scratching the surface of what needs to be done to get this country back on track. The people hope for a Republican leader to step forward and help fellow members fight on these issues – and for the very future of America.